If this sounds familiar, it’s because this is the exact same phenomena that elected Barack Obama president. It’s the same phenomena as attempting to make 75-year-old socialist Bernie Sanders into some kind of hip cool kooky pop culture meme. Obama was also a product. He was packaged up with a slick logo, catchy slogans and a great marketing campaign and people were allowed to attach whatever they wanted to him. Obama was a can of delicious and refreshing Pepsi. His domestic policy never amounted much to other than “fair shot” or “yes we can” and having subordinates in the media push his message out to take to the streets or block traffic as a means of somehow attempting to get politicians to change what they believe and vote the way he wanted them to on issues he cared about. Legislating was never an option. Symbolic gestures of marching across bridges is what sold. When a Cambridge police officer arrested a professor friend of his, he wasted no time calling the officer stupid, encouraged protests, and in the end lectured the country over a beer summit over the mistake he himself made. Jonah Goldberg and Rod Dreher have compared Pepsi’s ad to Columbia’s infamous late ‘60s “But The Man Can’t Bust Our Music” ad; others have compared it to the finale of the TV series Mad Men, in which Don Draper audits an est session at Big Sur, and then in a flash of inspiration, creates the famous Coca-Cola “I’d Like to Teach the World to Sing” ad. But music companies have been selling rebellion since the days of Bo Diddley, Chuck Berry, and Elvis; in the ‘60s, Decca made its fortune selling “transgressive” Rolling Stones records, and Columbia made their money selling Blood, Sweat & Tears, Simon & Garfunkel, Santana, and in the following decade, Bruce Springsteen and Pink Floyd. As Mark Steyn wrote a decade ago in his essay on Allan Bloom’s Closing of the American Mind and its chapter attacking rock music, “unlike most revolutions, the regime itself—in the shape of RCA, Columbia, Warner Brothers, and the other corporate entities that dominate the business to this day—proved far wilier survivors than Louis XVI. 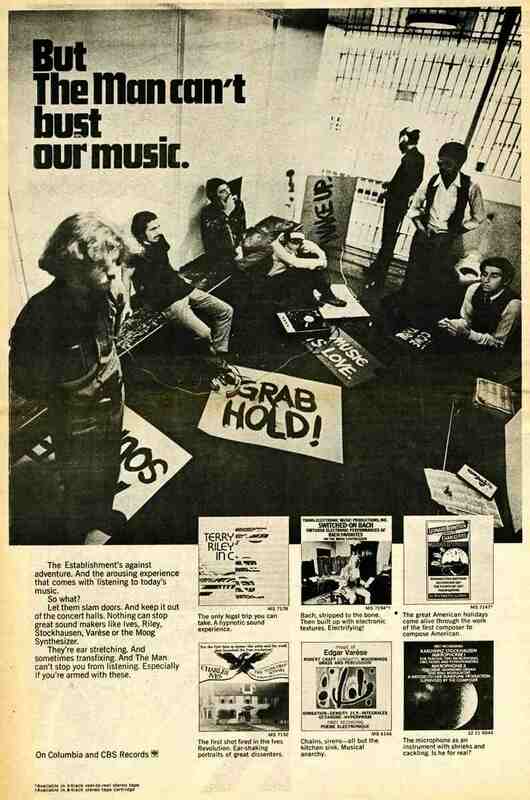 They’ve made a very nice living out of ersatz revolution.” Columbia’s biggest mistake in their “Man Can’t Bust Our Music” ad was explicitly calling attention to what a sham ‘60s rebellion by way of rock and roll actually was. Unlike Coke’s pioneering multi-culti “Teach the World” ad, the same can be said of Pepsi, for crafting an ad that turned out to be too on-the-nose, thus angering those who should have been its biggest supporters.